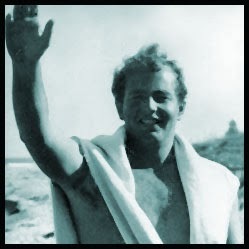 Along with Miki Dora, Terry "Tubesteak" Tracy reigned supreme at Malibu in the 1950s and into the early 60s, until the lifestyle they helped to create got too popular and both of them felt it was time to move on. Until then, Miki ruled the waves and Tubey sat throne at the infamous Malibu shack (where he actually lived for extended periods of time), and where one day upon spying a young Kathy Kohner decried, "Look, it's a girl midget, a 'Gidget'!" Tubsteak was in fact the model for the character "The Big Kahuna" both in print and on film in "Gidget". Old legends reunite for a Nike ad. 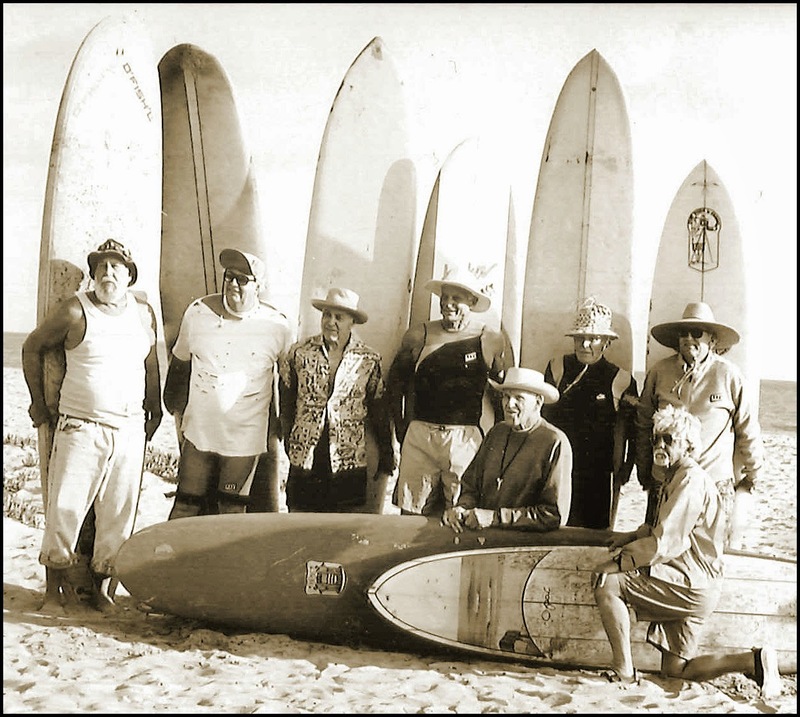 Standing left to right: John Vetter, Tubesteak, unknown, Skeeter Malcolm, Lorrin "Whitey" Harrison, LeRoy Grannis, (and seated) Ron Drummond, and Opai Wert, got back together for a Nike ad. The board Tubesteak is holding is the one donated by his wife Phyllis, and her sons Patrick, and Mike (see photo below). 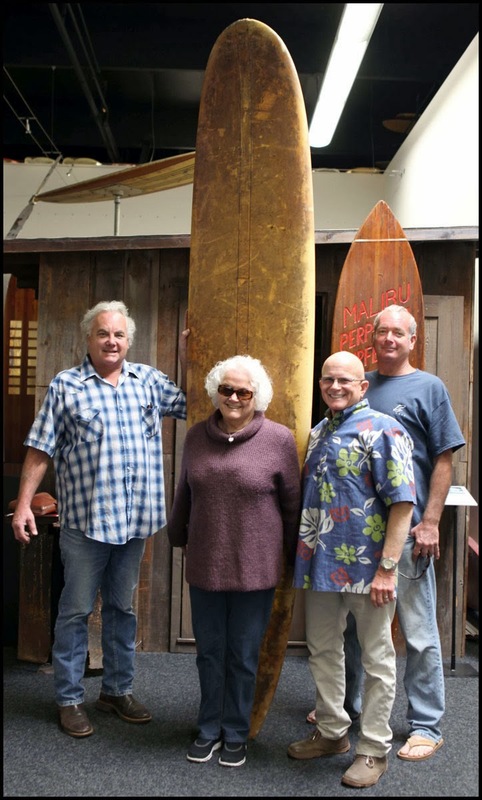 Patrick, Phyllis, and Mike Tracy with Bob Kiefer (in the floral print) and the Tubesteak surfboard, which can be seen on display at SHACC. The surfboard is a Dewey Weber model, shaped by Dan Bendickson but Tubesteak covered the logo with duct tape because, "I don't want to make Dewey famous!"